Best Time to go to Cambodia - Climate, Weather, Where to go? Best time to go to Cambodia for a perfect weather and where to go? Find the perfect time to go to Cambodia from average climate conditions in many locations like Krong Ban Lung or Battambang, right here. The best time to discover Cambodia is from November to February. This country, which has just recently opened itself to the world has much to offer its visitors, especially to fans of cultural discoveries and to seekers of architectural heritages. The end of January is not only an opportunity to enjoy the best climatic conditions or to make a journey across the territory, but also an opportunity to discover the heart of Asian culture, through the Chinese New Year's festival. 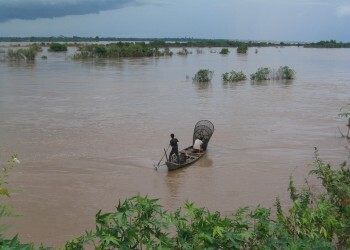 The end of the monsoon season is also a time to focus your visit if one wants to celebrate with the Cambodians on one of the most unique natural phenomenons in the world; in late October or early November, the flow of the Tonle Sap River reverses directions once the water of the Mekong River floods into the Tonle Sap. The running enthusiasts can visit Cambodia in early December and participate in the international half marathon of Angkor Wat at the same time. 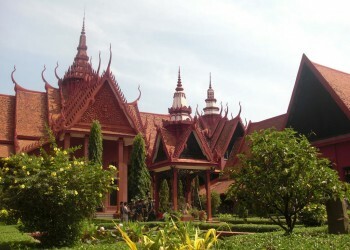 The best months to go to Phnom Penh are january, february, march, november and december. The best months to go to Battambang are january, february, november and december. 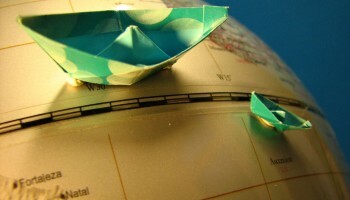 The best months to go to Kratié are january, february, march, november and december. 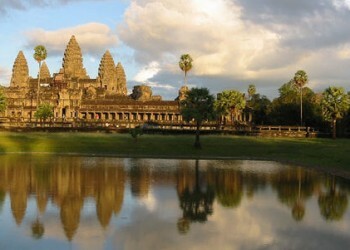 The best months to go to Siem Reap (Angkor) are january, february, november and december. 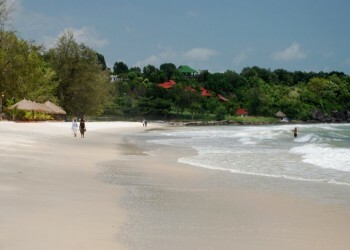 The best months to go to Sihanoukville are january, february, march and december. The best months to go to Koh Kong are january, february, november and december. Located between Thailand, Laos and Vietnam, Cambodia has a tropical climate - as do many countries in Southeast Asia. Here, it is very hot throughout the year, albeit the slightly more bearable temperatures in winter, especially around the month of January. At this time, the rains are rare, making the country a more pleasant place to visit. Similar to all tropical countries, Cambodia has two distinct seasons: first the winter period from November to March, which is quite dry and warm. This is also known as the coolest time of year and temperatures rarely exceed 30° C. Moreover, the greater part of the days are sunny and it rains only very rarely. 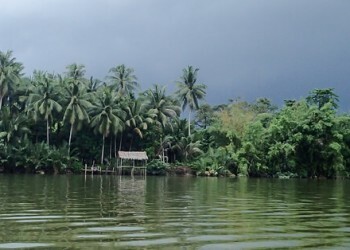 Note that at this period of time however, due to lack of rain, rivers often have a lower level of water and some boat trips become impassable, depriving tourists of certain beauties within Cambodia, such as boat rides along the Mekong river from Phnom Penh to Tonle Sap to Siem Reap. The rainy season, also known as the summer monsoon season, extends from the months of May to October. The latter is particularly hot and humid, with rains of unseen violence in late afternoon causing many floods. These storms are however relatively short. Average temperatures range are around 35° C and this is the hottest time of year in Cambodia. The pervasive humidity increases the feeling of suffocating and heavy heat, quite difficult to bear for people who are not accustomed to the climate in Southeast Asia. On these 3 graphs, we present the evolution of temperatures of Cambodia and month-by-month rainfall for the cities of Phnom Penh, Battambang, Kratié, Siem Reap (Angkor) and Sihanoukville, as well as the month-by-month sea temperature for coastal cities. What can I do in Cambodia? Is this weather information for Cambodia reliable? 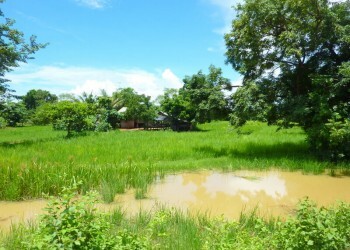 Climate data for Cambodia has been gathered every day since January 2009. The analysis of these meteorological data for Cambodia allows us to determine the average for each month in Phnom Penh, Battambang, Kratié, Siem Reap (Angkor), Sihanoukville, Koh Kong, Koh Sdach (King Island), Koh Tonsay, and 8 other cities.